In the past few months I wrote about oil being at low levels and how I was buying up stocks like Chevron. Oil was at 2003-low levels and now oil company stock prices are steadily increasing, and I’m glad I locked in their dividends at great prices. But there’s one stock that really piqued my interest. I pulled out the 10-Ks, the 10-Qs, and got to work. It’s down 20% since January 1st, and nearly 70% since March 2014.
Who would ever think of catching such a falling knife? What company is this? It’s Waddell and Reed (WDR). 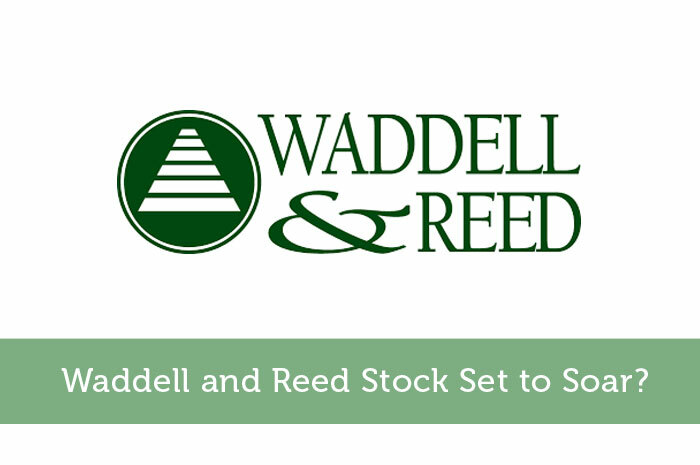 Waddell and Reed stock is trading at prices not seen since 2010. One could make the case that the stock was essentially flat during the “lost decade” of 2000 to 2010, but I’m pulling one of my favorite tactics of all time and locking in a solid dividend. Waddell and Reed currently pays over an 8% dividend yield, and it has been increasing the dividend since going public, eighteen years ago. The best part is that the dividend seems sustainable even if profits decrease. That’s not even the best part. The best part is that the stock’s actual dividend yield hasn’t been this high since 2008, when the world was coming to an end. By 2010, the dividend was back about 2%. My point is you have to strike when opportunity presents itself, and I believe that a great opportunity to invest in Waddell and Reed is presenting itself. On a personal note, I know a few Waddell and Reed financial advisors and I’m familiar with the company structure. Yes, commissions are paid, and yes there are incentives. I could paint with a broad brush and recommend a low-cost index fund for everyone on the planet, but the financial advisors at Waddell and Reed are there for personalized service. The company has a wonderful force of advisors with great training. Not everyone is concerned about low-cost funds or beating the market – a few customers, some I know, just want their hands held and a phone call during corrections telling them not to panic. Robo-advisors and ETFs may be increasing their market share, but there are millions of investors who want the traditional fund model. Did somebody say baby boomers? The Department of Labor recently released a new fiduciary rule that should level the playing field for retirement account advice. This new rule requires advisor to put clients’ best interest first and requires that advisors be able to demonstrate that the clients’ best interests are being served. This is different from the “suitability” standard that was used for years. I think that the market as a whole has overreacted to this fiduciary rule, which has been rumored for quite some time. The industry might completely shift towards a fee-based model based on assets under management rather than commissions received on transactions. The market must’ve thought, “No commissions?? The stock is worthless!” But honestly, most investors are savvy to commission-hungry salespeople, so this should’ve been accounted for long ago. The rule is: do right by your clients. As a company, Waddell and Reed has relatively low debt. Its quick ratio is 2.75, which lets me know that it has enough cash to pay off short-term debts. In a nutshell, this lets me know that the company isn’t going out of business tomorrow. It has been around since 1937, so I wasn’t very worried in the first place, but it’s nice to know. The P/E is currently in the sevens, which is low when compared to other financial services companies. The stock has solid fundamentals, a strong history, a juicy dividend, and it’s at what appears to be a bargain price. I’m not sure why you wouldn’t buy! Disclosure: I am currently long WDR stock.